In honor of National Fig Newton Day we’re celebrating sponsorship and product placement. Isn’t everyone? National Fig Newton Day is coming up on January 16. Believe it or not, this is the best time to talk about sponsorship and product placement. By the time American Idol had us looking at Coke cans for hours on end, Fig Newtons had been using product placement for nearly 70 years. Their product placement campaigns go all the way back to 1939 when Mickey Mouse first share his “favorite” Fig Newtons (and other Nabisco baked goods) with Minnie to cheer her up. 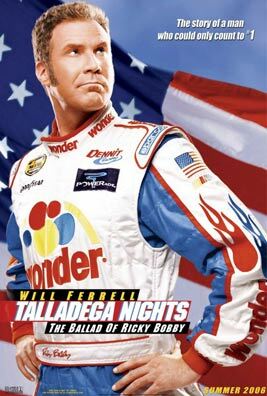 My personal favorite Fig Newton product placement is the line from Talladega Nights: The Ballad of Ricky Bobby. Talladega Nights is a movie where Ricky Bobby (Will Ferrell) is a NASCAR driver who lives in a world of product placement and celebrity endorsements with Fig Newtons as the extreme. A large Fig Newton sticker is placed on the front windshield of his racing car (because his car is already so full of sponsors the only place left is the car windshield) and he matter-of-factly states: “This sticker is dangerous and inconvenient, but I do love Fig Newtons.” Click here to relive the movie moment. This movie has over 90 brands featured including Wonder Bread, Old Spice, Perrier, Big Red, Domino’s Pizza, Little Caesar’s Pizza, Country Crock, Kentucky Fried Chicken, Taco Bell, Coca-Cola, Bud Weiser, AppleBee’s, GQ Magazine, Jenga, Lucky Charms, as well as the fictitious Laughing Clown Malt Liquor. One of the best sponsorship examples is that Ricky Bob must “stipulate he must mention PowerAde at every grace” during a family dinner with his two sons, Walker and Texas Ranger. 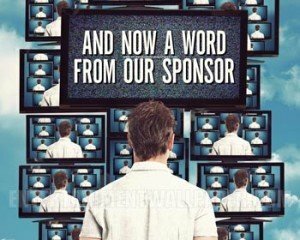 So what is advertising sponsorship? Advertising Sponsorship is a form of marketing by which one party (known as the sponsor) typically contributes funds, products or services to another party (known as the sponsored party). The sponsored party can be an event organizer, producer of an entertainment product, event participants, sports teams or other rights holders. In most cases, a sponsor in turn receives marketing rights allowing the sponsor to promote its image and certain products or services in connection with the related event or participants, including charitable events and non-profit campaigns. Event Sponsorship is the general sponsorship of a particular event or series of events, like a sports event or a music concert. Targeted Sponsorship is the general sponsorship of an individual person or organization, for example, a sports league, team or athlete. Official Supplier Status is where the sponsor also becomes the named supplier of a particular product or service that it desires to associate with the event for marketing purposes. Venue Sponsorship usually provides a single sponsor the exclusive right to associate its company or trade name with the name of a publicly used venue such as a sports stadium or performing arts theater, often for a fixed period of time. Broadcast Sponsorship is the sponsorship of a television, radio, satellite or internet broadcast of an event or program. Editorial Sponsorship is the sponsoring of articles in newspapers and magazines through the payment of a fee to a publication to carry editorial content relating to a particular product or service. Product Placement involves using products or services in an editorial or entertainment context, usually in return for a sponsor’s financial contribution. A sponsor can also leverage product placements in other ways to advertise both the sponsored activity as well as its own brand, such as by sponsoring a film or television premiere or by a co-marketing arrangement where the sponsor associates its products with the film or program in mainstream advertising. Advertiser Funded Programming relates specifically to television programming, where a company contributes to the funding of a particular program. Branded Content often involves the company creating events or entertainment products, such as movies and video games. This creates a direct nexus with a company’s brand and the content among its actual and potential customer base. This is just a small part of our Essential Mini-Brief on Sponsorship Agreements. Ask us about the entire Essential Mini-Brief on Sponsorship Agreements. Raising funds is important in any socially conscious business and we all need some information to get started. Our mini-brief not only gives you the 9 reasons for a prospective company to sponsor you, but also the essential legal considerations for any sponsorship agreement. Click here to ask us for our Mini-Brief. Free to the first eight subscribers! P.S. This is a bonus for our 501(c)(3) students!